SIGNO Elevators provides 365 days breakdown service by experts. SIGNO Elevators has emergency call back service for 24 hrs. (Night service sonly if passenger is trapped or in case of any accident). SIGNO Elevators gives personal attention to every elevator erected and maintained as every client and passenger is important to us. SIGNO Elevators keep a vigil chech on every routine service which is done every month by qualified & experienced technical maintenance staff. SIGNO Elevators has Competent Management and State -of - the Art Technology for customer care & service. SIGNO Elevators has developed its own scheduled programme specially designed as per as the elevator so to keep the elevator in smooth and safe operating condition. 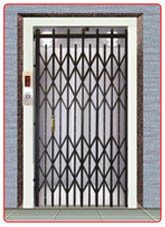 SIGNO Elevators is cost effective and quality assured.